Rippin' nasty guitar grooves and solos. 15. One Shot. One Kill. 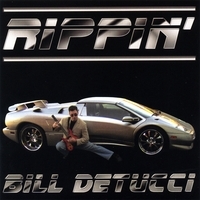 This is Bill DeTucci’s Debut CD and is sure to please avid fans of the Guitar! On this Cd one will hear Nasty Grooves and Hot Guitar Solos not to mention sweet and funky Bass lines here and there. Sensuous Melodies and Breezy tones of: “Pebbles Beach” to the Rip Roaring Rock feel of: “Hot Summer Nights”. This truly is an amazing array of: Feel, Groove and Melody in a Guitarist that Rip's through an astounding blend of 29 Instrumental Tracks! Remember: Lefty Guitarists do it better! Man any guitarist should buy this Now!!!! I'm Speechless... he is just as good if not better than a lot famous guitarist. i would name some but that would be COLD. Great CD, nasty grooves and hot guitar solos. This Cd Rocks. Thanks Bill for the good music. I'll be waiting for the second release from Bill. Keeping on rocking. Armando.